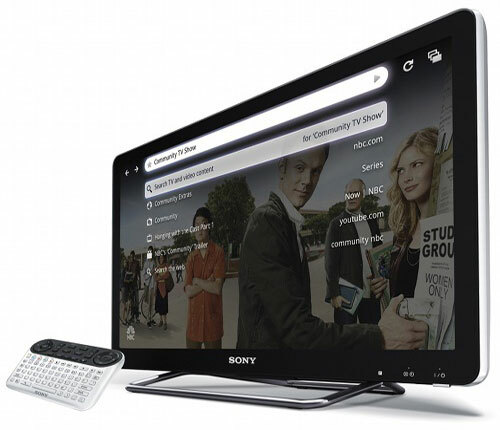 Like Logitech Sony has launched their incarnation of a Google TV solution in Sony Internet TV. Sony has released four models of the television plus on Blu-ray disc player to complement the range. To accompany the TV is a handheld RF QWERTY keyboard for easy browsing and typing. The screen sizes starts at 24-inch for $599.99 to 46-inch for 1,399.99 recommended. The Televisions are powered by Google TV Android platform and Intel’s Atom processor and runs the Google Chrome browser; they also come preloaded with Sony’s streaming service ‘Video on Demand by Qriocity’ and CNBC, Napster, NBA, Netflix, Pandora, Twitter, and YouTube. Sony Internet TV also deliver a truly personalized entertainment experience with the ability to bookmark content for easy access and add applications from the Android™ Market (coming in early 2011- In thin in time for CES2011). The intuitive hand-held RF QWERTY keypad remote incorporating an optical mouse allows you to easily navigate content, type in search terms, and control the television’s user interface. Additionally, selected mobile devices such as an Android phone can be used to control the television (an app will be available for download from the mobile Android Market later this fall). Built-in Wi-Fi makes it easy to connect to your home broadband network to access web content and upgrade the TV by downloading updates. Sony Internet TVs will easily connect to select HD DVR devices from Dish Network to include previously recorded content in the search results and control DVR functionality from the set’s user interface.